sailboat. : Ralphie Moves House: Small apartment to a two storey mansion. Ralphie Moves House: Small apartment to a two storey mansion. As I'm sure most of you know, Ralphie is my very spoilt miniature lop bunny rabbit and after recently moving house myself, I thought that Ralphie needed a lovely new home too with lots more space to hop around and cause mischief in. Don't get me wrong, his old cage was perfectly okay for him size wise and he did particularly love biting the metal bars at night time to wake me up, but he's a very active little bunny and it seemed to me that he was getting a little bored at times. If I could be there to let him out of his cage all the time I would, but I can't be at home all day and I don't trust him to be good by himself. 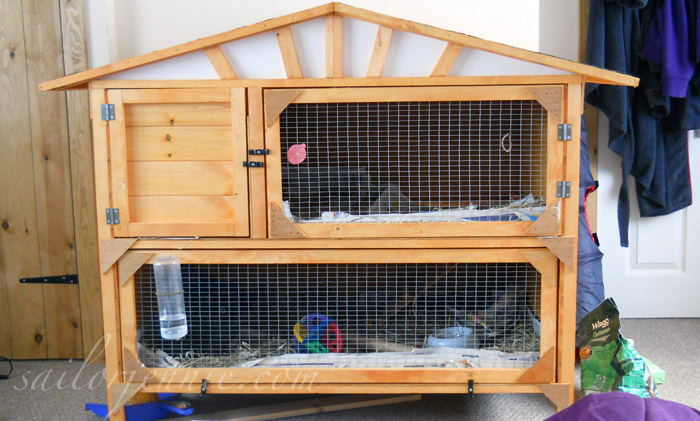 I spent hours, literally hours, looking at hutches online because I'm a crazy person and I wanted to find the perfect one. Ralphie is a house rabbit and he lives in my bedroom so from a totally selfish and shallow perspective, I wanted it to look pretty too. I found something that ticked both boxes in this bunny mansion! Ta daaa! I know, I know, it's completely ridiculous and I've already admitted that I'm a crazy person. It's true, I am. But Ralphie loves it & so do I.
Bunnies aren't often fond of change at first and it took him a couple of days to settle in properly. He wasn't sure of the ladder for quite a while and when he did attempt it it sounded like he was falling up and down rather than hopping. Thankfully he's got used to it now and loves nothing more than hopping around and up & down the ladder at a million miles an hour. A happy Ralphie equals a happy Jennie! Do you think I'm completely nuts buying such an extravagant hutch, or would you do the same? Let me know & be honest! If you think I'm insane then tell me, I'm likely to agree with you! P.S. 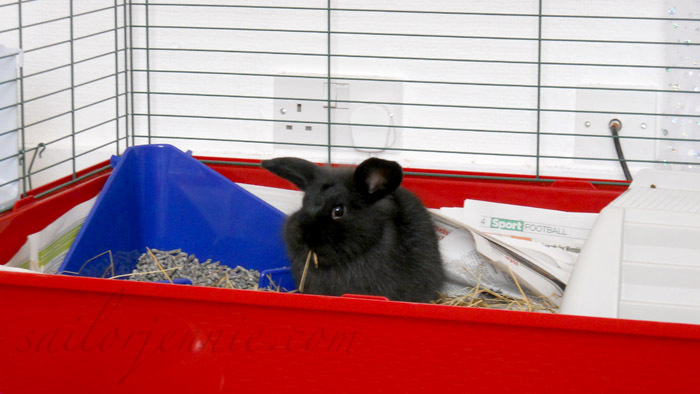 If you're interested in buying a new hutch for your pet then I really recommend Rabbit Hutch Warehouse, which is where I bought Ralphie's hutch from! Haha that's so cute! My guinea pigs were really wary of their ramp at first too, the shy one woulnd't go down it for ages...they have a pretty massive hutch but they're outside. Oh my word, that's one hell of an upgrade! Who's a lucky boy then? :P hehe. He is the cutest thing I have ever seen! My family had a full size rabbit and she was lovely, but not as adorable as yours :) I might have to get one! I don't think you're insane at all! I got my rabbits hutch from there too! It's a whooper! Just a tip that worked for me... 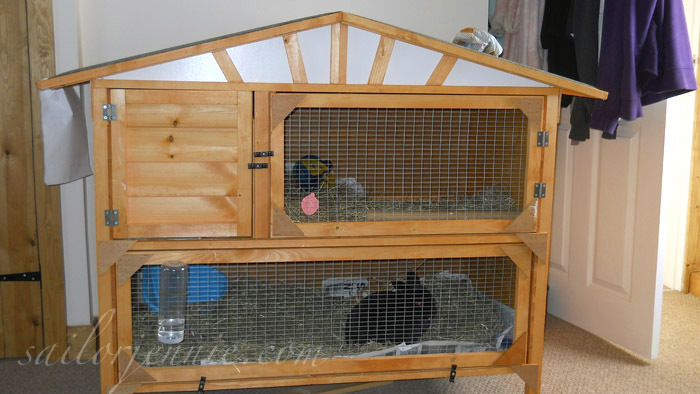 I put the hay on the top level only and a blanket lining the bottom so there was less mess when they got in & out of the hutch. You can use those cheap tiles you get in bathrooms too, it's much easier to clean! 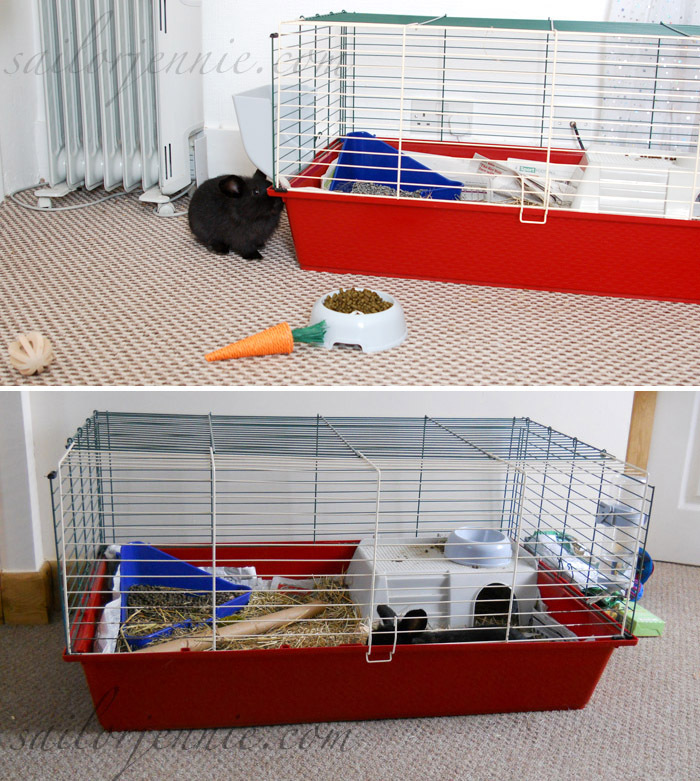 I spent almost £200 when I had a Giant British bunn and she loved her luxurious pad! I think she had a higher living standard than me! I love this, my bunny Chloe Paddington lives outside (*sad face*) but she has an upstairs hutch with a little ladder down to her run. I would buy her something twice the size if I could afford it! Wow it's amazing, luck Ralphie! He's such a cutie! I think it's perfect! My mom used to spend hours constructing these grand cardboard play houses inside her mouse cages, she would greatly appreciate the bunny luxury! That is a pimp house! haha I love it. Bet he loves it, lots of space for him till he can roam the room. Miss my rabbits now. Aw Raphie is so cute! and that's definitely not ridiculous, I would definitely do the same (: Hope he enjoys his new house! I really wish I had a bunny. I'd buy him that hutch, too! Awww Ralphie is the luckiest bunny ever!!! you are an amazing bunny mama :) I would totally do this too! I'm one of those ladies who has stairs leading to my bed for my dog though, haha. You are so not nuts, I think this is awesome! I'm always buying crazy things for my dog, it's what us 'owners' do! The hutch.... mansion looks awesome! 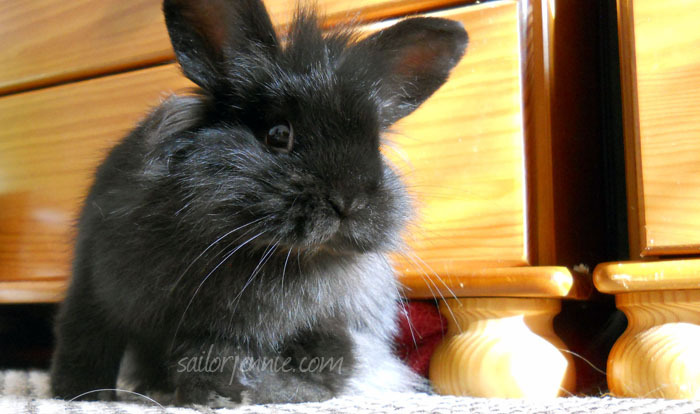 Awww he is unbelievably cute, I want a rabbit now! I don't think it's crazy at all, I would do the same thing if I had a bunny!